​Widely known as Missouri's 'oldest' cemetery, this plot was originally given to the 'Catholic Citizens' of Ste. 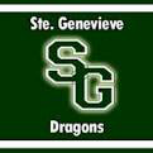 Genevieve by the Spanish Government. 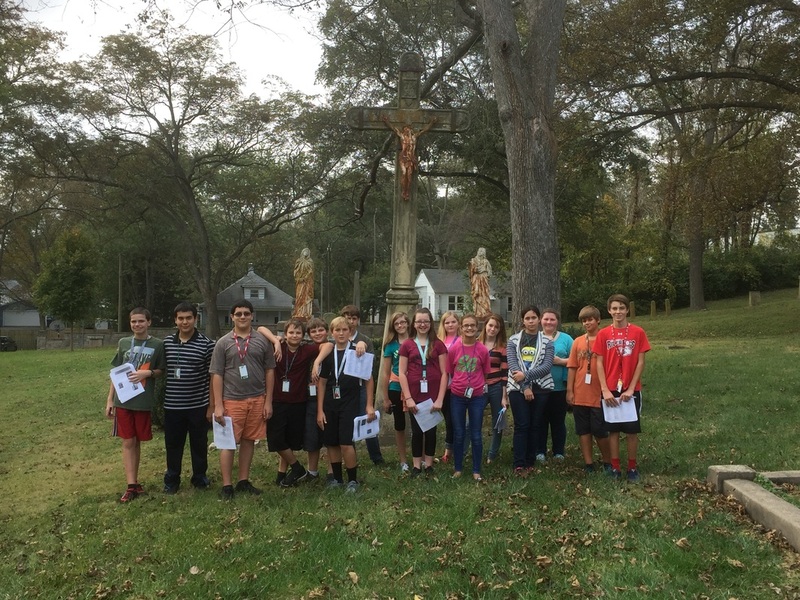 Between 3500 and 5000 Catholics, non-Catholics, Native Americans and African American slaves are buried here. 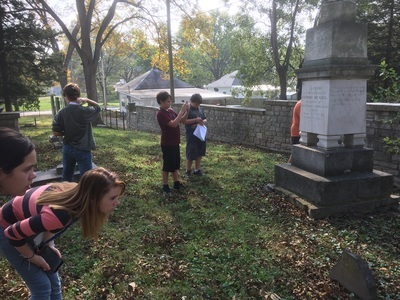 It is also the final resting place for such notables as US Senator Lewis F. Linn, Felix and Odile Valle' and many other Missouri Pioneers. 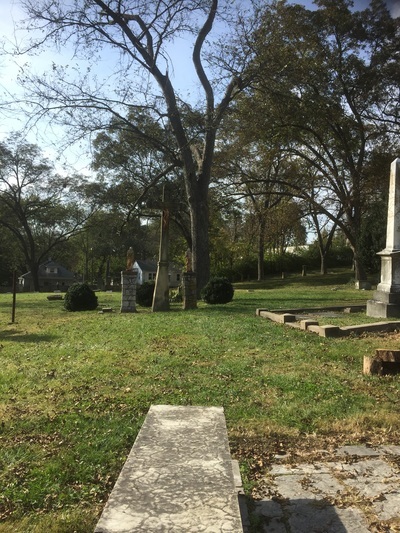 The cemetery is currently undergoing restoration by the Foundation for Restoration of Ste. 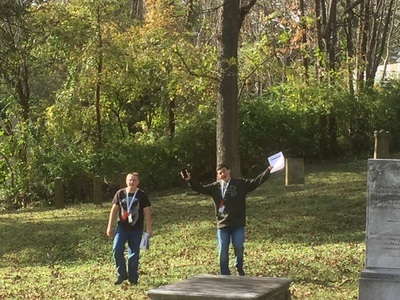 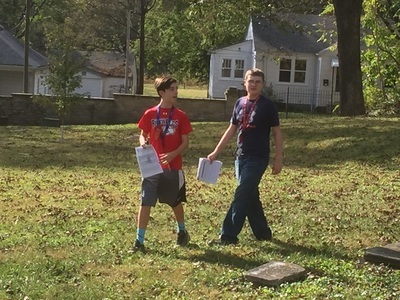 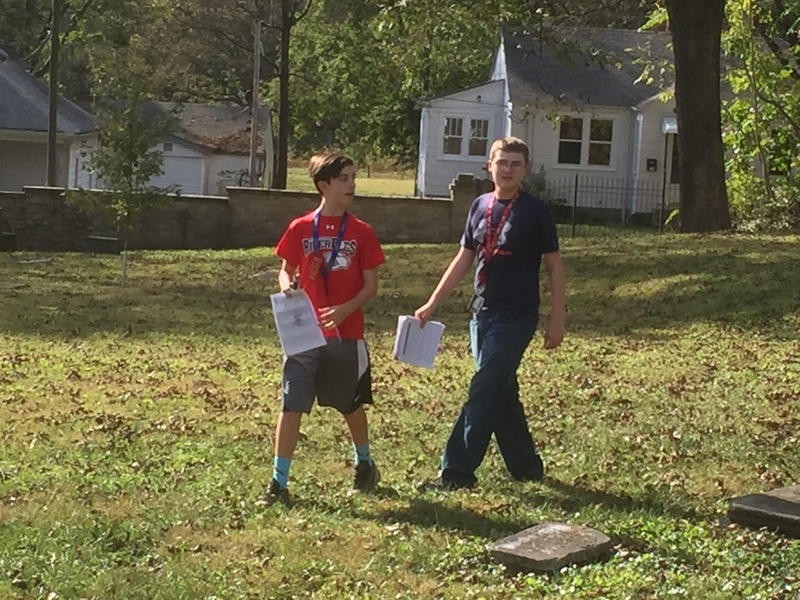 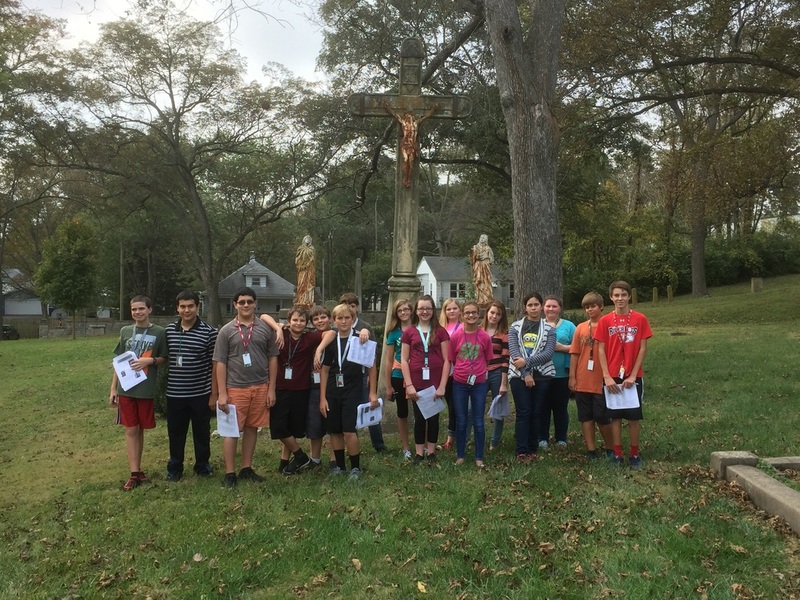 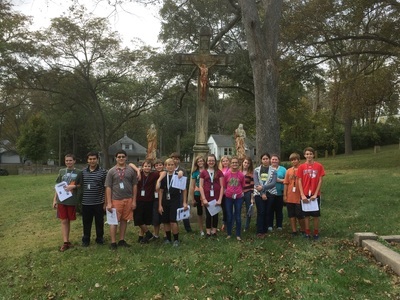 Genevieve, Inc.
American History II 5th Hour class examined the Memorial Cemetery as real historians. 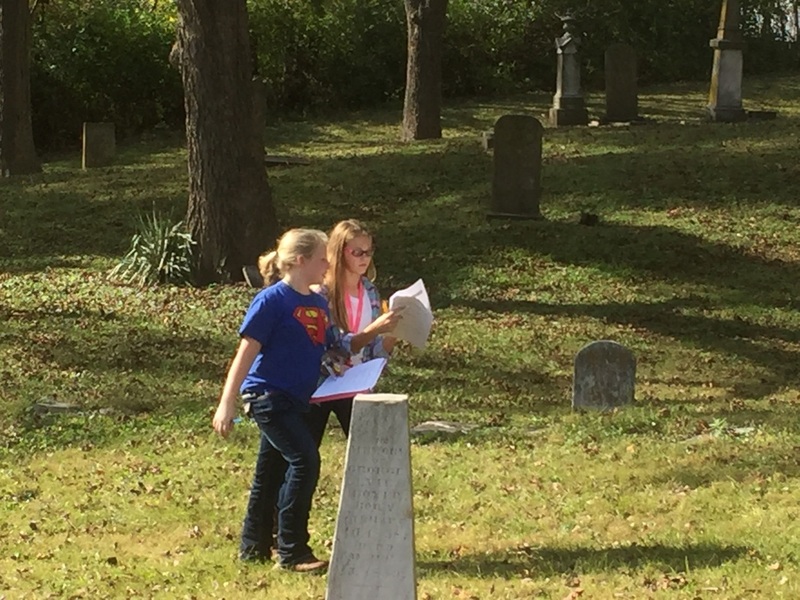 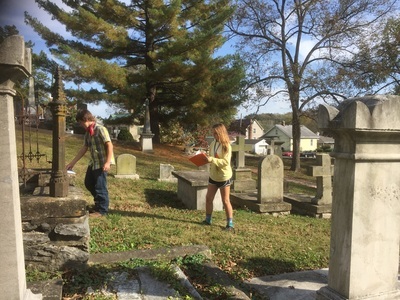 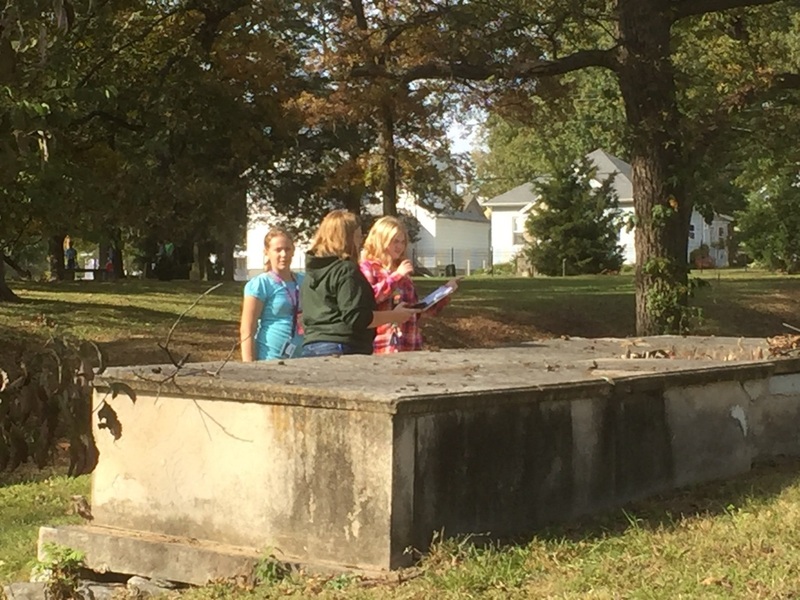 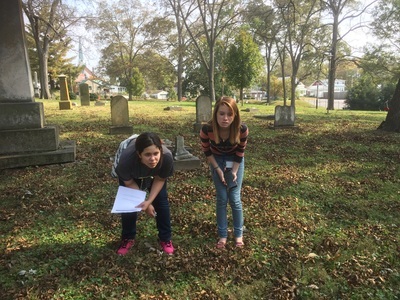 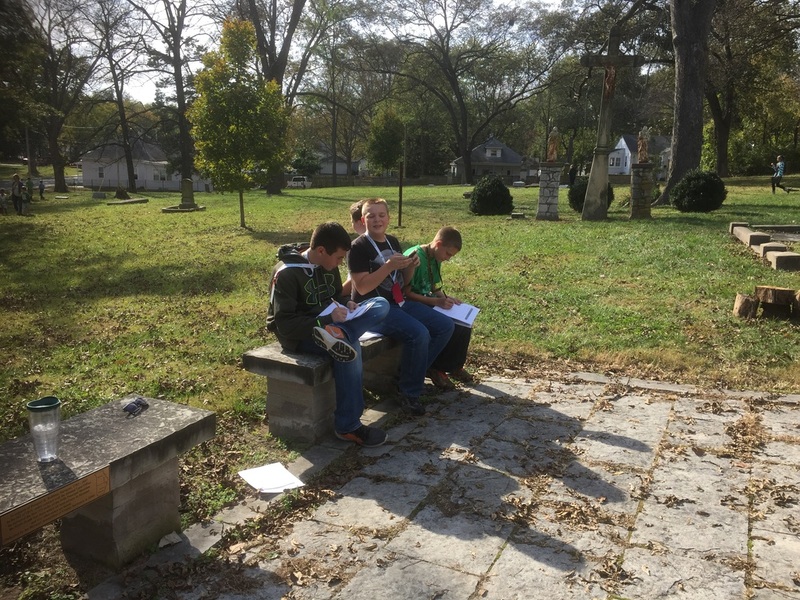 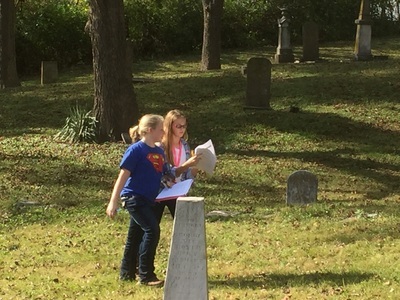 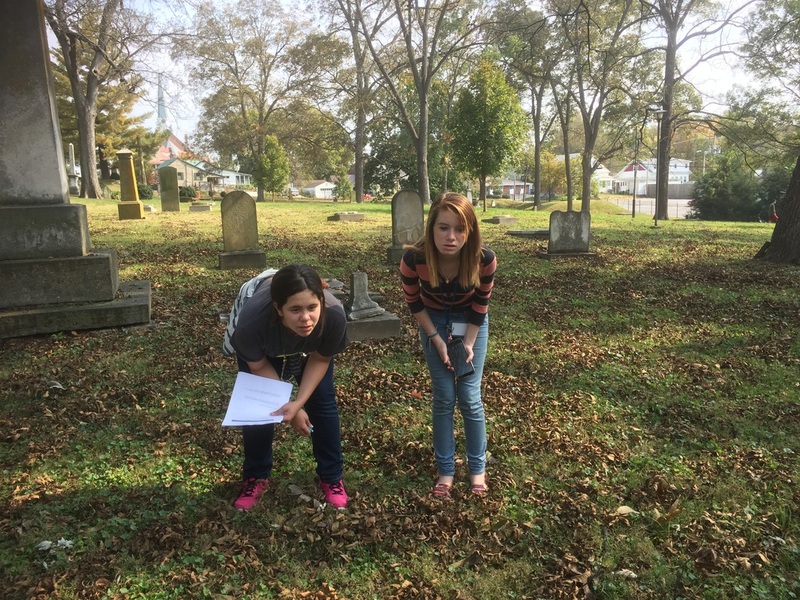 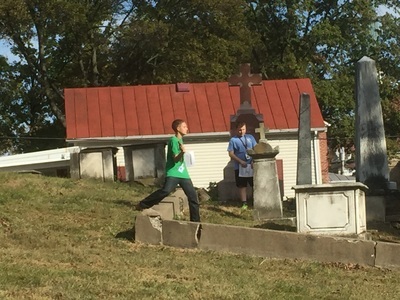 Students collaborated to find various people, events, and physical features of the cemetery. 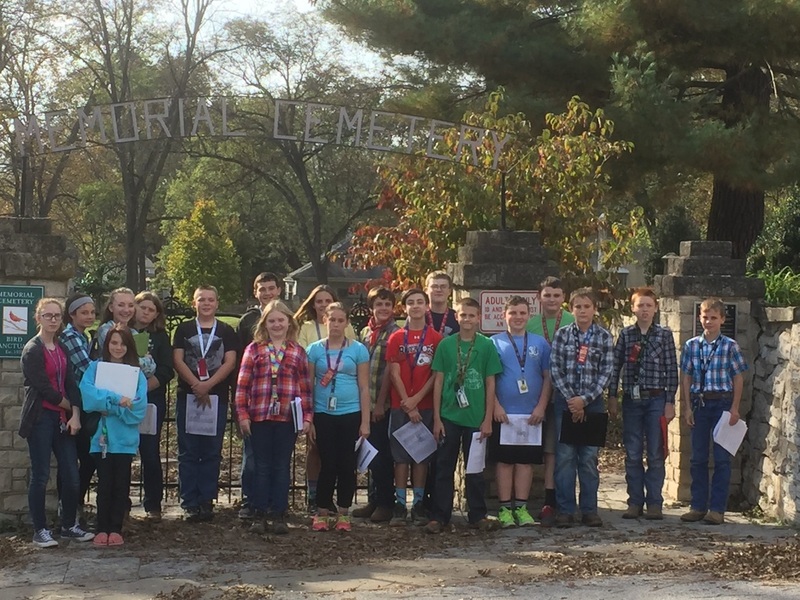 Outstanding effort by our students. 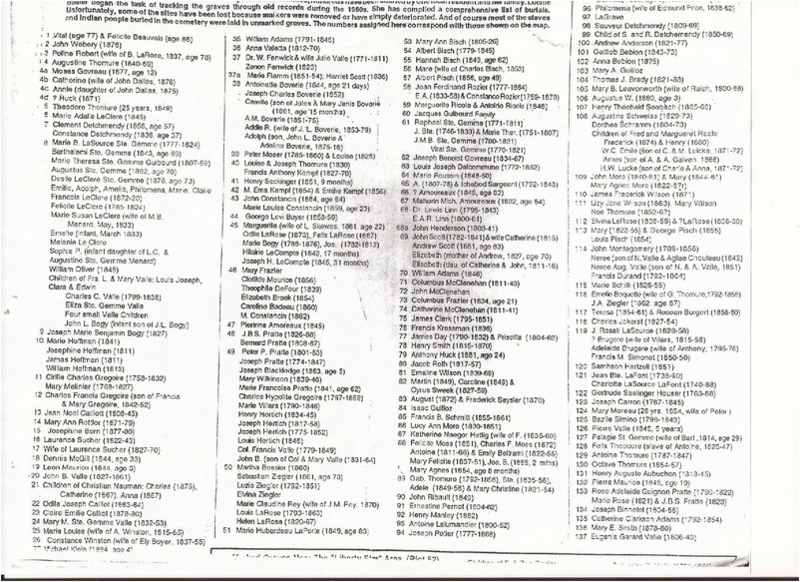 Many of the graves are marked on the map but cannot be found in the cemetery.